Blott Studio provided a platform for many local and regional professional artists to exhibit art all year round and exhibits the work of visiting guest artists, nationally and internationally. 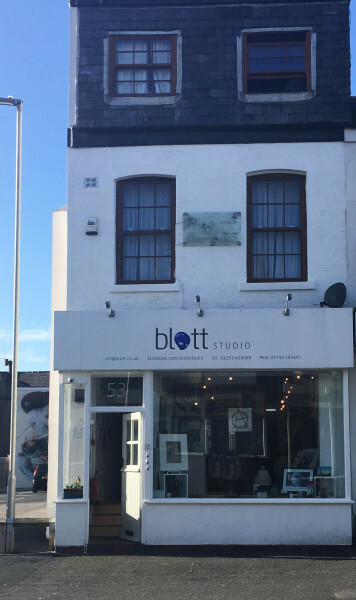 Originally founded in 2000, Blott Studio or 'Blott Artist Studios' as the collective was originally named, has evolved over the past 19 years, going on to establish itself locally and regionally as a unique cultural ‘artist-led’ venture. The Blott ‘concept’ has always been very much a team effort, relying on a team of enthusiastic artists and volunteers. We have new artwork available, please come and visit the gallery or call us with any inquiries regarding prices.